Your first line of protection from the elements. A good, quality roof defends your family and business from weather, heat, sunlight, and animals. With a variety of materials and choices, it’s important to have a quality, capable contractor who can care for your style and need with a clear, honest value. Stately and time-tested, natural slate has a durability and refinement that is unmatched in natural materials. Slate can uphold a historic style or add whimsy and statement to your building with natural colors and sourcing to meet your tastes. Synthetic slate is also available in a range of colors and styles. Quiet, low in maintenance, and unmistakable in beauty, metal can give you the look and feel that sets you apart from the crowd. Distinguished copper that draws attention or colored aluminum or steel that accents any home and matches any business’s branding, enhances from a porch roof to a whole facility. Nothing compares with the warmth and look of real wood. Responsibly sourced wood installed by a knowledgeable contractor lasts as long or longer than regular asphalt roofing but provides additional energy efficiency in eco-friendly, natural beauty. 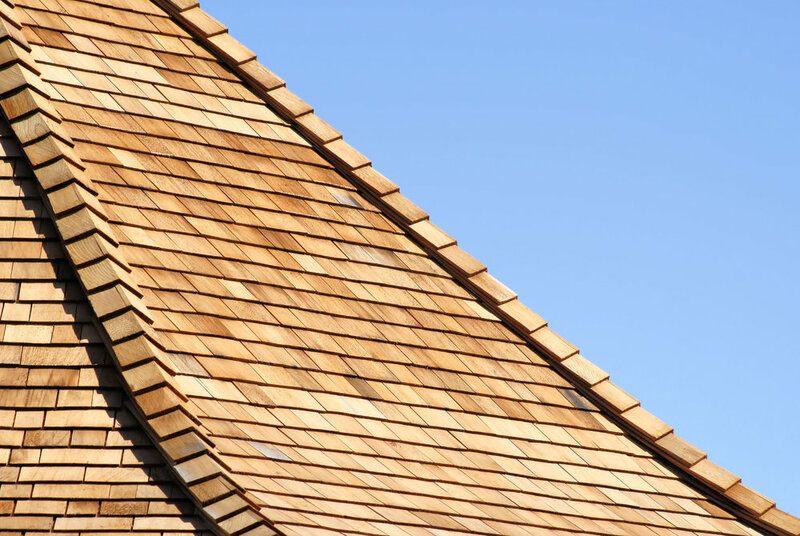 Tough and durable wood shingles give charm to any home both new and old. Walking down your street you will likely see an assortment of colors and a few styles of this type of this common roofing. Often the most economical choice, there are a variety of styles that make your home as unique as you are. Choosing a quality contractor, like Rainmasters Inc., that is honest and straightforward ensures a quality, guaranteed product at a good value with a friendly helpful attitude.